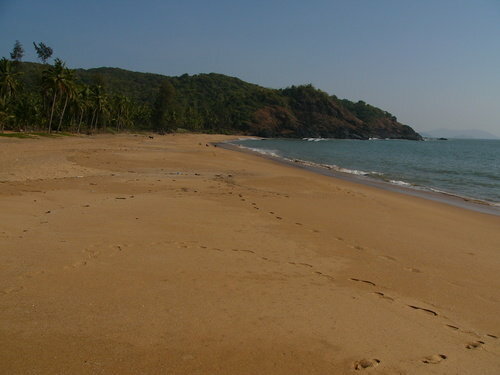 Polem beach is in Canacona taluka, south Goa, close to the Karnataka border and the port town of Karwar, in Karnataka. Polem beach is a beautiful 700m stretch of secluded, off the beaten track beach, with golden sand and fringed by tall palm trees. The cresent shaped bay is defined by steep wooded headlands on both sides. If you take a day yacht trip to Polem beach, chances are you will be one of very few tourists on the beach, very possibly the only one. One thing to do on Polem beach, is to just relax on the beach, as it happens, that is also the only thing to do on Polem beach. So, basically it’s a best choice for honeymoon holidaying in Goa, have a relaxed and romantic holiday.